With Parliament prorogued, it seems New Democrats have found a new way to hold the Harper government to account. On Monday, the NDP launched what the party is calling a "virtual daily question period" on Twitter, challenging Prime Minister Stephen Harper and his cabinet to answer questions through social media, since they can no longer do it in the House. While Harper did not respond to tweets from NDP Leader Thomas Mulcair in both French and English, one member of the NDP shadow cabinet was able to get a reply from a high-profile Tory. 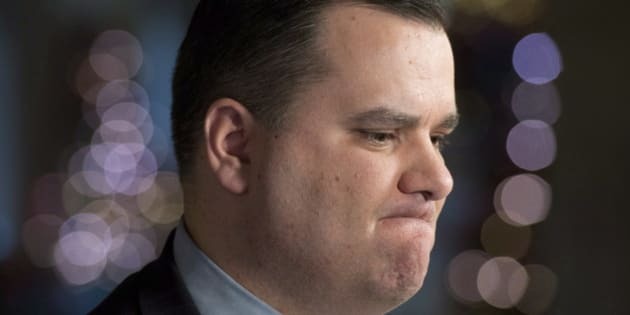 NDP critic Chris Charlton challenged James Moore, minister of industry, to explain why Conservatives are "afraid" to schedule an emergency meeting, as the NDP requested, to study the wireless spectrum auction. When Moore didn't respond — although he did, apparently, add Charlton to Twitter — she suggested virtual question period was much like real the real thing: good questions, no answers. Moore responded to say he was driving, but soon threw some shots at the NDP. It's sort of like real question period except other Canadians get to weigh in. Political junkies: October isn't so far away, but if you really, really miss the back-and-forth of question period, allow Charlton and Moore to satisfy your fix in the slideshow below. Mulcair, who has accused Harper of hiding from tough questions, said Monday that prorogation will stall debate over changes to the EI system, halt the work of a committee on missing and murdered aboriginal women and delay efforts to improve rail safety. And while the NDP leader no doubt hopes to get answers to some questions in the virtual question period, it would appear he has his work cut out for him. Here are a few of the questions Mulcair posed in English today that were met with radio silence. What do you think of this virtual question period? Tell us in the comments.